If you’ve walked around Bellevue or Seattle lately you’ve probably noticed there are more dogs – and owners – living downtown. More than half of U.S. households own a pet and those pets are definitely part of the family. For many buyers having a park or dog-friendly area near their home ranks high in sought-after amenities. Condo and apartment developers have embraced this trend, incorporating dog relief areas, dog grooming stations and safe pet play areas in their communities. Dedicated pet suites are sometimes offered an upgrade for interior spaces. Condos don’t often have the luxury of extra square footage to dedicate to your furry family member but its easy to create space for organizing your pet’s “stuff” without breaking the bank or turning the living room over to Fido. A whimsical set of small drawers in the utility room or other small nook in the home can hold pet grooming tools, foul weather gear, treats, food, leash and harness, etc. If space is tight decorative hooks by the door or in a closet can organize dog leashes and coats. Pet friendly communities are in high demand. If you’re selling your condo and your community permits pets, let buyers know their four legged family members are welcome. You don’t need to create a luxury pet spa but now would be the time to buy a new cat/dog bed, replace old bowls with a colorful matching set and organize toys in an attractive basket. Even if you don’t own a pet, investing a few dollars in pet staging items can let buyers know as soon as they enter that Fido and Fluffy are welcome. Inventory is at historic lows, prices are at or near record highs, multiple offers are the norm, high buyer demand continues and there’s no new condo construction in sight . . . this year may well be your best time to sell your home or investment property. 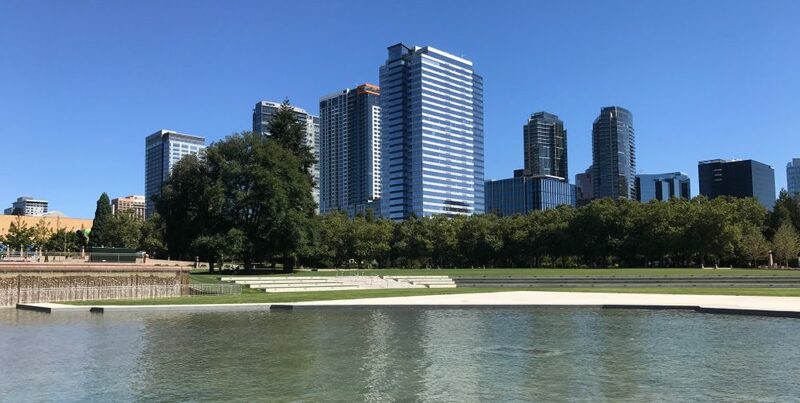 Bellevue is continuing to grow, more companies are moving to the city than are leaving, the arts and social scene is thriving, some of the best shopping and dining north of San Francisco can be found in Bellevue and the schools are outstanding. The city has so much to offer for a variety of lifestyles and budgets. Condo prices start in the mid $300,000s (yes, there are affordable condos downtown) and can skyrocket to several million for a view penthouse. Don’t miss the opportunity to maximize your return on investment if you’re ready to make a change, find more space, move up to a view or reinvest in another rental property. 2015 definitely saw the continuation of price recovery for houses and condominiums in Seattle and on the Eastside. If you were in the market, either buying or selling a home last year, you were aware of the historically low levels of available inventory and escalating prices in most neighborhoods. With so few homes to choose from and so many buyers in the market, multiple offers were common, time on the market declined and prices rose in most communities. So what’s in store for 2016? The Seattle/Bellevue area still ranks high nationally as a very desirable place to live and work. With a positive employment climate, more people are relocating to the area than are leaving which will continue to add to the housing crunch for buyers and renters. Interest rates are expected to rise this year but fixed rate mortgages aren’t expected to exceed 5% – still very attractive and affordable for buyers. Area housing prices are predicted to continue to increase, good news for sellers, but at a more modest level than last year. Depending on which forecast you read, area housing prices will increase in the range of 4.5% to 6% this year. Home values will continue to rise but at a more typical and sustainable pace than the last few years. Its likely demand will still exceed supply but with more households returning to positions of positive equity, more homeowners may finally have the ability to make plans to move up, downsize or relocate, improving inventory levels. Is this year the perfect time to sell or buy a home? Demand for housing is high and we’re in a very strong sellers market – interest rates are low which benefits buyers and investors. Rents are skyrocketing; if you’ve been thinking about buying this would be an excellent time to purchase your first home and begin to build equity for yourself rather than your landlord. This could also be the time to maximize your equity position and buy a larger home, an investment property, downsize or think about a second or vacation home. How long will low interest rates last and property values continue to increase? That’s the sixty-four thousand dollar question. Major changes to the market aren’t anticipated, so its a safe bet that getting into a home now will result in increasing equity and a solid investment.